We unveil impeccable range of hydrological instruments which are designed using best of the components. These instruments provide great accuracy and functionality. We provide these Hydrological Instruments at market leading rates. We are involved in manufacturing and exporting very efficient current meters that help in measuring the velocity and direction of the flow of water. Our current meters are very compact, durable and high quality devices. We provide various types of current meters such as propeller type, pygmy type, cup type etc. 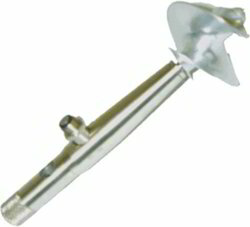 We are proud of ourselves for being able to manufacture and export matchless quality water flow indicators. Our water flow indicators are long lasting, efficient, fault resistant and provide very accurate readings. The Suspended Solids Indicator is a state of the art, easy to use meter that provides many benefits to the plant operations staff. It is a unique system that combines advanced electronics with a solid-state, optical sensor. 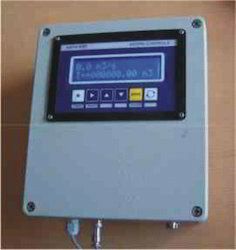 It is a multi-range indicator designed for the measurement of suspended solids in aqueous solutions. The microprocessor-based electronics of the indicator provide a high degree of flexibility and ease of use. We are actively involved in manufacturing and exporting water level indicators that manufactured by using latest technology. 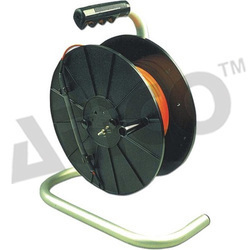 Our water level indicators are provided with 90 meters long standard cable and 9 volts standard battery. The set-up is designed to study the working of different governors normally used to control the speed. It consists of a main spindle, mounted vertically on the base plate. 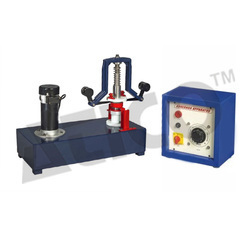 This spindle is driven by a variable speed motor which is also mounted vertically on the same base plate. One governor assembly out of four can be mounted on spindle. The spindle speed is controlled by speed control unit. A graduated scale is fitted to the sleeve to measure the displacement. Electricity Supply: 230 V AC, Single Phase, 50 Hz, 5-15 amp combined socket with earth connection. Earth voltage should be less than 5 volts. Looking for Hydrological Instruments ?